I have two groaning shelves of business books. I used to read a lot of these – until I realised that most weren’t actually helping me at all. With hindsight, they tend to have three things in common – anecdotes, analogies and being hopelessly utopian. Even those that sa they rely on data, often get it all wrong. Worse still some of these early best-sellers not only got things badly wrong, they created the cult of 'Leadership'. 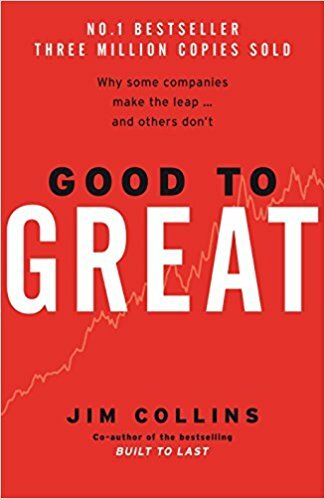 Take the lauded Good To Great by Jim Collins. It claimed to be revolutionary as it was based on oodles of research and real data. He claimed to have had 21 researchers working for five years selecting 6000 articles, with over 2000 pages of interviews. Out of this data came a list of stellar companies – Abbot Labs, Circuit City, Fannie Mae, Gillette, Kimberly Clark, Kroger, Nucor, Philip Morris, Pitney Bowes, Walgreen, Wells Fargo. The subtitle to the book was Why Some Companies Make the Leap... and Others Don't. Unfortunately some leapt of a cliff, many underperformed and the net result was that they were largely false dawns. Fannie Mae was close to collapse in 2008 having failed to spot the risks they had on their $6 trillion mortgage book and had to be bailed out. Senior staff, including two CEOs were found to have taken out illegal loans from the company, as well as making contributions to politicians sitting on committees regulating their industry. It didn’t stop there, since 2011 they have been embroiled in kickback charges as well as securities fraud and a swarm of lawsuits. It could be described as the most deluded, fraudulent and badly run company in the US, led by incompetent, greedy, liars and cheats. Circuit City went bankrupt in 2009, having made some truly disastrous decisions at the top, dropping their large and successful large appliances business, a stupid exclusive deal with Verizon that stopped them selling other brands of phones, terrible acquisitions and a series of chops and changes that led to a rapid decline. It was unique in failing to capitalise on the growing technology markets, making decisions that were almost wholly wrong-headed. Its leaders took it down. Wells Fargo has been plagued by controversy. The list of wrongdoing is depressingly long; money laundering, gouging overdraft payers, fines for mortgage misconduct, fines for inadequate risk disclosures, sued for loan underwriting, fined for breaking credit card laws, massive accounting frauds, insider trading, even racketeering and accusations of excessive pay. This is, quite simply, one of the most corrupt and rapacious companies on the planet, led by greedy, fraudulent fools. I could go on but let’s summarise by saying that nine of the other stocks chosen by Collins have had lacklustre performance, regarded by the markets as journeymen stocks. Steven Levitt called the book out, showing that the stocks have underperformed against the average S&P. His point was simple, Collins cherry picked his data. So if you see this book recommended in Leadership courses, call it out, call the trainer out. 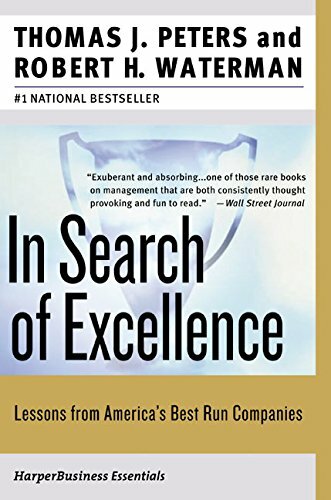 In Search of Excellence by Tom Peters was another best seller that sparked off the obsession with Leadership. The case against this book is, in many ways more serious, as BusinessWeek claimed he had ‘faked’ the data. Chapman even wrote a book called In Search of Stupidity, showing that his list of ‘excellent’ companies were actually poor to indifferent. He had inadvertently picked companies that were dominant in their sectors but had then become lazy and sclerotic. It was a classic example of what Gary Smith highlighted as the famous Texas Sharpshooter fallacy. You shoot a bullet, then draw a line around your bullethole and claim you hit the target. Simply joining up already successful dots is not data, it’s cherry picking. Even them he picked the wrong cherries, most of which were rotten inside. If anything, things have got worse. There's been a relentless flood of books on leadership that make the same mistakes time and time again. At least Collins and Peters tried to use data, many are nothing more than anecdote and analogies. Management is frustrating, difficult and messy. There are no easy bromides and simply stating a series of vague abstract concepts like authenticity, trust, empathy and so on, is not enough. We have fetishised 'Leadership'. You're a leader, I'm a leader, we're all leaders now - rendering the very meaning of the word useless. What do you do for a living? I’m a ‘leader’. Cue laughter and ridicule. Have you ever heard anyone in an organisation say, We need to ask our ‘Leader’? Only if it was sneering sarcasm. It was invented by people who sell management training to fool us all into thinking that it's a noble calling but is it all a bit phoney and exaggerated and does it lead to dysfunctional behaviour? Back in the day, before ‘Leadership’ became a ‘thing’ in business, it was fuelled by these key books. They went beyond the normal best-seller status to cult status. Everyone bought them and read them. These seminal, and actually fraudulent, books were the foundation stones for an industry that led to the financial crisis in 2008, that nearly took the world’s entire financial system down. We’re still in the shadow of that disaster, and many of the word’s current ills can be traced to that event – decades of austerity and increasing inequality. The trait that both the authors of these books and the so-called leaders we've ended up with, in politics, sport, entertainment and business - is integrity. The tragic end-point of this cult of Leadership is Trump with his Art of the Deal. Worse still, corporate training is still in thrall with this nonsense, with ‘Leadership’ courses that pay homage to this utopian idea that there are silver bullet solutions to the messy world that is management.